This News Bulletin describes two separate clashes which occurred in Kawkareik Township, Dooplaya District in February 2015. The first incident occurred between the Border Guard Force (BGF) and the Karen National Liberation Army (KNLA) which led to the death of a KNLA soldier during the conflict. Following this incident, an investigation was commissioned by the Unity Committee for Karen Armed Groups (UCKAG), which found both sides culpable for the conflict. 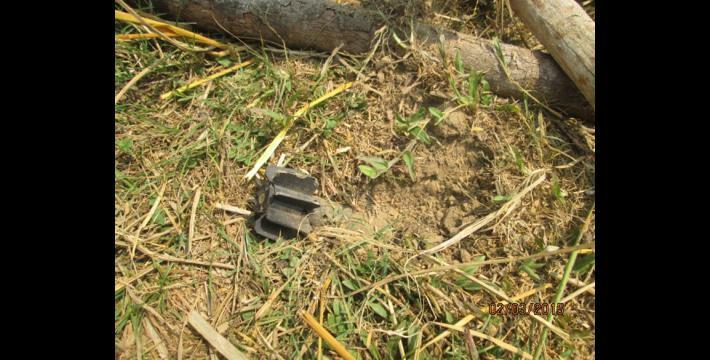 The second incident occurred between the BGF and the Tatmadaw versus the former Democratic Karen Benevolent Army (DKBA) Bo San Aung’s group which led to the death of one of Bo San Aung’s soldiers, two soldiers from the BGF and one soldier from the Tatmadaw. 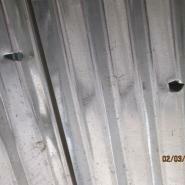 Villagers were caught in between the clashes and report being worried about what will happen in the future. On March 5th 2015, a KHRG staff member met with a female A--- villager and documented the recent clashes between the Karen National Liberation Army (KNLA) and a Border Guard Force (BGF) which occurred on February 28th 2015 in between Meh Htaw Th’Lay and Ta Bluh Hkoh Hkee villages, Kawkareik Township, Dooplaya District. According to the A--- villager, BGF Battalion #1022 extended more camps in KNLA controlled areas in Kawkareik Township, Dooplaya District, after the preliminary ceasefire was signed between the Karen National Union (KNU) and the Burma/Myanmar government in January 2012. She added, since the ceasefire was signed, the Tatamdaw’s BGF Battalion #1022, led by Battalion Commander Maung Thon, extended two small camps nearby Myawaddy Town, controlled by the commander of Brigade #6’s (Dooplaya District) KNLA Headquarters Special Command Captain La Min. On January 30th 2015, BGF Battalion #1022 built a new camp but was ordered by Special Command Captain La Min to withdraw and KNLA soldiers burnt down the camp after the BGF left. On February 27th 2015, a villager reported to Special Command Captain La Min that the BGF had returned and was rebuilding their camp. Afterwards, Special Command Captain La Min ordered his soldiers to go and tell the BGF to withdraw. 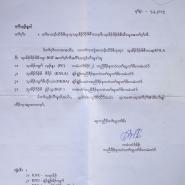 On that day, at around 6 pm, a group of KNLA soldiers went to the BGF camp to tell them to withdraw. On their way, before they could reach the BGF camp, they were ambushed by BGF soldiers. One KNLA soldier was shot and killed at the scene, another one was injured by the BGF soldiers and one of the BGF soldiers was injured in return. A KHRG community member from Kawkareik Township also reported that on February 27th 2015, in the early morning around 5 am, fighting occurred between BGF and Tatmadaw battalions from Kyaikdon Town and former DKBA Commander Bo San Aung’s group in B--- section, in C--- village, Kawkareik Township. 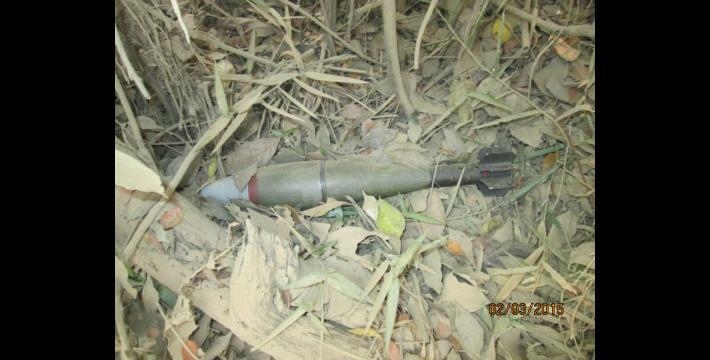 The Tatmadaw and BGF captured one soldier of Bo San Aung’s group, who is 18 years old, in possession of one rocket propelled grenade (RPG) and five regular grenades. Villagers who witnessed the Tatmadaw and BGF arrest him said, “They captured that soldier and he was beaten by the Tatmadaw and BGF before they killed him.” According to the KHRG community member, the BGF ordered C--- villagers to bury the dead soldier’s body. 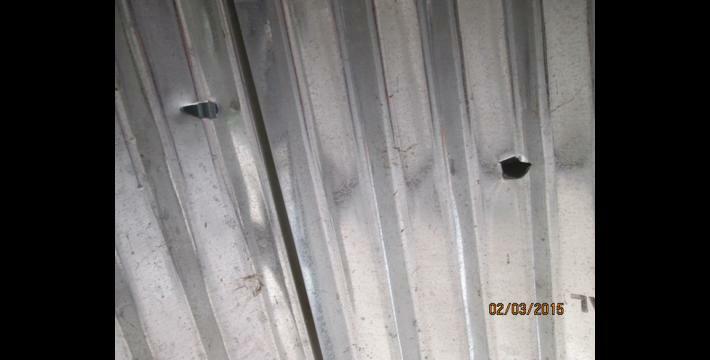 The villagers also reported that a bullet hit a shop nearby the fighting area but no villagers were injured and they could not identify which group fired it. 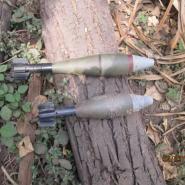 On the same day at around 11 am, the fighting started again in D--- section, C--- village. 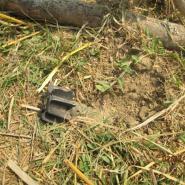 According to the KHRG community member who went to collect the information in the area, two BGF soldiers and one Tatmadaw soldier were killed during the fighting. The next day on February 28th 2015, at around 5 am, the fighting occurred again in the same D--- section, C--- village. During the fighting, the BGF and Tatmadaw shelled over 10 mortars into E--- village where Bo San Aung and his soldiers were located. 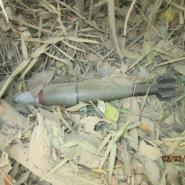 Half of the mortars were found unexploded. 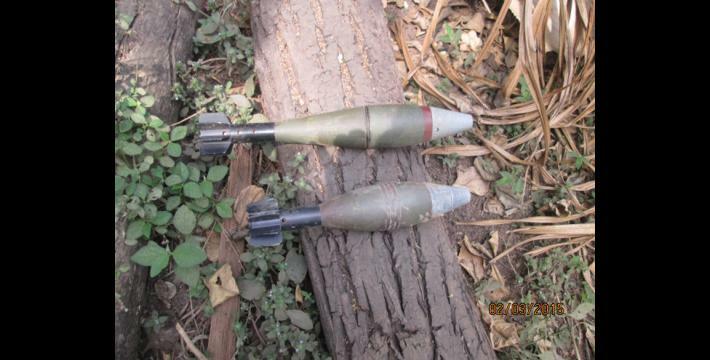 Bo San Aung’s group also shelled back three mortars at the Tatmadaw and BGF in D--- section, C--- village, where villagers said two exploded and one did not. According to the KHRG community member, none of the villagers were injured during the attack because the incident occurred far enough away from villagers' houses to prevent any injuries. 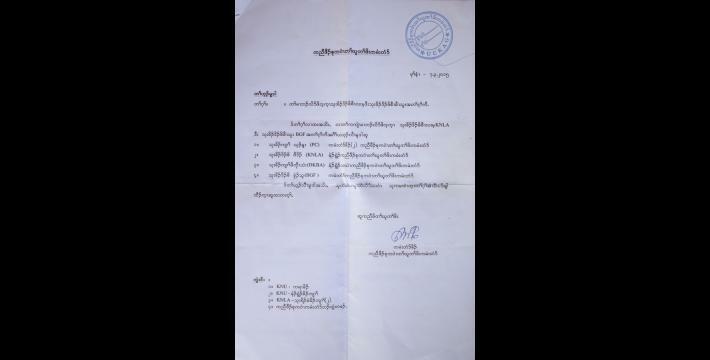 This News Bulletin was written by KHRG office staff and is based on information from a community member from Hpa-an District who has been trained by KHRG to monitor local human rights conditions. In order to increase the transparency of KHRG methodology and more directly communicate the experiences and perspectives of villagers in eastern Burma/Myanmar, KHRG aims to make all field information received available on the KHRG website once it has been processed and translated, subject only to security considerations. For additional reports categorised by Type, Issue, Location and Year, please see the Related Readings component following each report on KHRG’s website. Tactical Commander General Saw San Aung, commonly known as Bo San Aung, from DKBA Battalion #907, was relieved of his position in the beginning of 2015 after fighting broke out between his battalion and Tatmadaw troops. Acting independently, he formed his own armed group with approximately 70-80 soldiers. In April 2015, Bo San Aung was accepted back into the DKBA after discussions with the DKBA’s top leaders.